Are you Ready for Allergy Season to End Already? 8 Ways to Fight Off Pollen Naturally! Just as most areas in Canada experience four distinct seasons, so too do we have four unique allergy seasons—one per season. We may have a really great country in a lot of ways, but we sure didn’t get lucky when it comes to pollen. According to the Canadian Weather Network, tree pollen season launches in April and continues through the end of May. Then we have a smooth transition into grass pollen season during June and July. Mould and mildew season and ragweed season are next, and these two seasons actually overlap during the months of August through October. And by the time all that has wrapped up, cold and flu season has arrived! So what can you do to fight back against what can start to seem like a never-ending round of yearlong allergy attacks? Luckily, there is a lot you can do, and we are going to share eight of the most powerful ways you can take back control over your health, your indoor air quality and your life! You don’t necessarily have to alter a single thing in your daily life indoors to find relief from the nonstop rounds of allergens. Sometimes, adding a HEPA (high efficiency particulate air) filter to your existing HVAC system is enough. There are HEPA systems that work with ducted and ductless HVAC units, so you can take those deep breaths without worrying about what else is entering your lungs along with oxygen! If you have ever wished you had a lightsaber or blaster you could just aim at pollen, well, now you can! Ultraviolet-C is the most powerful band of ultraviolet light, and only the presence of our planet’s ozone layer protects our skin from its rays. But in a focused form, aimed directly at airborne allergens, there isn’t any pollen or mould spore on the planet that can survive contact. There are portable and central ultraviolet air purification systems so you can find the right system for your home space. Local bee pollen is free from sugar, so it is the safest choice if you are diabetic or sugar-intolerant. 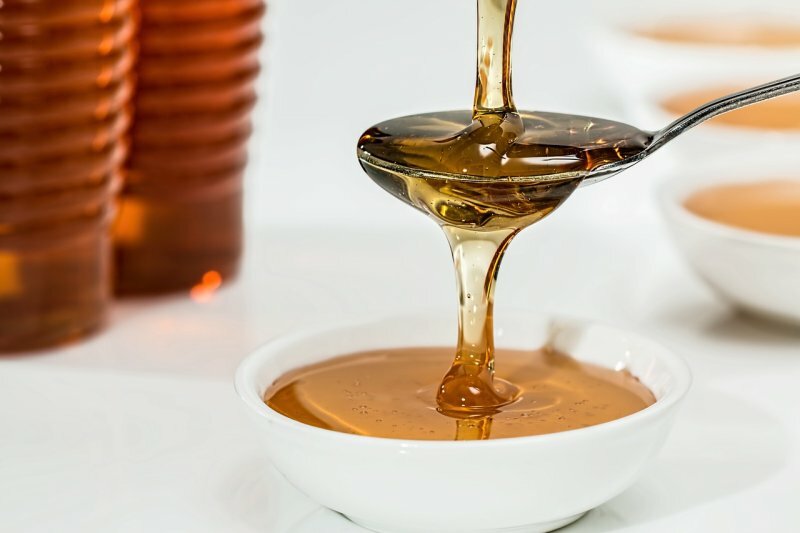 Local honey does contain some sugar, but it also contains trace amounts of local pollen, which in an odd twist can actually help your immune system learn to fight off pollen’s effects! A teaspoon or so of each every day should do the trick to get you feeling better quickly. Certain naturally occurring foods contain powerful properties to help bolster your hard-working immune system and reduce your allergy-related health symptoms. When your immune system encounters a known allergen such as ragweed or mould spores, it produces something called histamines in response. The histamines go to work to quarantine the invaders and move them out of your system. But in the meantime, you definitely know when your immune system has sent out a fresh squad of histamines, because you are sneezing and blowing your nose and your throat is sore and your eyes are watering and you feel dreadful. By adding in foods that have natural antihistamine properties, you give your immune system a much-needed breather and at the same time reduce your body’s response to the histamines. Foods to add can include garlic, onions, apples, citrus fruits, ginger, parsley, fennel, watercress, turmeric and pomegranate. It can be tempting to just eyeball your HVAC filters and decide that they don’t look too dirty and you can wait it out. But it is often what your eye can’t detect that is really bothering you! Those filters are designed to trap airborne particulate matter and keep them out of your indoor air supply. But some of the smallest airborne allergens, including mould and mildew spores, are completely undetectable to your naked eye—you would need a microscope to see them! When your filters get really clogged, each whoosh of air that goes through them will dislodge some previously trapped particulate matter and send it back into your air supply. This is why you need to get on a schedule to change your air conditioning and furnace filters (each during their applicable seasons, of course) at least monthly to avoid reintroducing the very allergens you are trying to filter out back into your indoor air. Local weather centers are becoming increasingly sophisticated in their ability to report on daily conditions ranging from humidity to ozone to allergies. Many weather apps will tell you up front when there is an allergy alert and even what hours are safer for you to go outside. This way, you can plan your outdoor excursions to reduce your allergy symptoms. It sounds so simple, but the more appropriate liquid (water, aloe vera juice, orange juice, etc.) you take in, the more hydrated and healthy your tissues will be. Inhaling warm, humid steam is another great way to take in more moisture. This includes the sensitive and highly reactive tissues throughout your respiratory system, including your nasal passages, throat and lungs. Well-hydrated tissues are better able to produce mucus to transport allergens out of your system while fighting off allergy symptoms. Are you sick and tired of feeling sick and tired from nonstop allergy symptoms? We can help! From indoor air quality testing to professional air duct cleaning, installation and maintenance for HEPA filtration and ultraviolet air purification systems, and more, let us help you feel better and stay healthy this year! PS. Right now and through June 30, 2018, we invite you to save 10 percent on any of our indoor air duct cleaning packages!